Figure:Time-frequency analysis of ground water signal of the station in Hwalien. The upper is the recorded raw data from Apr. 1st to Apr. 30th , 2006. 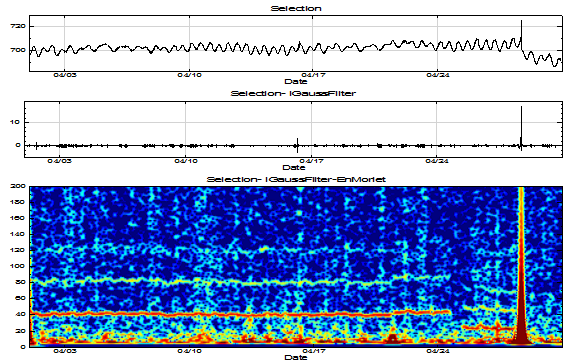 Removing the tide effect results in signal shown in the middle plot. The spike at the end of the signal is the co-seismic effect. It appears as a vertical straight line In time-frequency-energy representation shown at the bottom. Parallel horizontal lines in the same plot suggest the existence of vibration taken place during the recorded period of time. The change of vibration mode as shown on Apr. 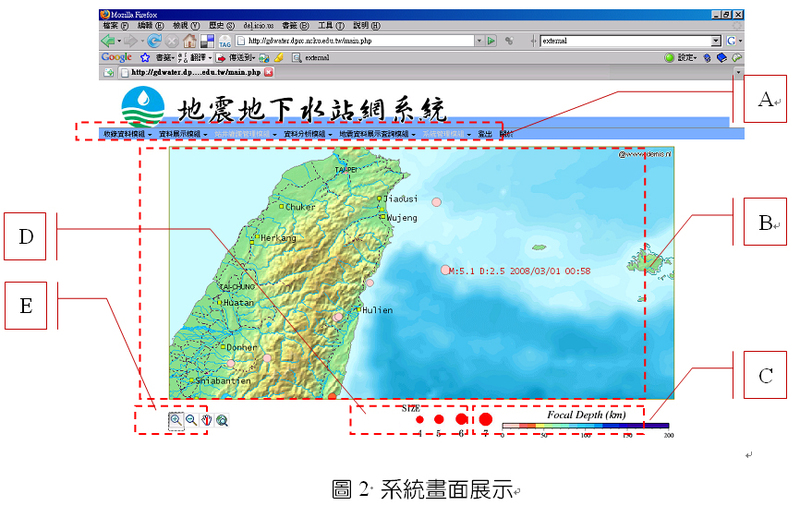 25th was followed by occurrence of near field earthquake.